CEG-TEK's growing list of participating ISPs, and their NEW alliance with COX Communications. Previous PostThe Giganews VPN ProblemNext PostHow time limits and purged records stop a copyright holder from learning the identity of an accused downloader. This does raise a question in my mind, that very scary place, about how they are getting so many on board. I am sure some decided to forward these ‘notices’ out of ignorance. I am sure some decided to forward these ‘notices’ out of fear of lawsuits. One does have to wonder why a larger provider would willingly participate in what is an alleged lawfirm circumventing the actual law in favor of their own system. One might wonder if they engage in profit sharing or providing information. Copyright law is imperfect, but it is the law of the land. This ‘endeavor’ uses the DMCA to send demands for payment for allegations made by ‘something’ (I have no evidence that it is NOT a magical potato that whispers the names of the evildooers to Ira) that they violated copyright. There is an entire legal process when copyright is violated (something something back to imperfect) and this short circuits it in favor of getting payments for allegations backed with threats of worse if you don’t pay up today. They stand to earn thousands for filing a lawsuit, yet opt for fractions of that amount. Something appears to be very off about this, and it is a shame that the actual legal system has yet to take a pointed look at these sorts of homebrew self-help bypassing the law. The Comcast e-mails still have CEG-TEK claims against you (even though Comcast did not forward Ira Siegel’s letter demanding that you pay them). As for whether you will be sued, we’ll need to look at who the copyright holders are. E-mail me at [email protected] and we’ll take a look at it together. Hello! Please respond, someone, if you can. I read the article and was slightly confused. I recently received a letter, signed “Sincerely, Ira M. Siegel”, and I’ve been looking at things since then trying to figure out what to do. I haven’t checked the claim on their websites or anything, but reading another person’s comment, I know I probably can’t pay what they’re asking. Will I be sued? Is there someone I can talk to about this? I’m horribly anxious right now, and if someone could get back to me that would be great. This is true. However, a great risk is still there even if the password is provided. Realize this is Ira M. Siegel ou’re talking about, and his ethics just do not exist. He like almost all of these attorneys engage in “honeypotting”. That is, they put up the files themselves on bittorrent so they can see who else is sharing them. That’s pretty questionable especially when their settlement letters describe any or all such sharing as unauthorized or illegal. Putting the file up themselves could be deemed to be voluntarily publishing it in that medium, especially if there is no copyright notice or other indication (which could in theory be in a domain name or a tag or a file included in the torrent) that the material is copyrighted and not for anyone’s use without a license. 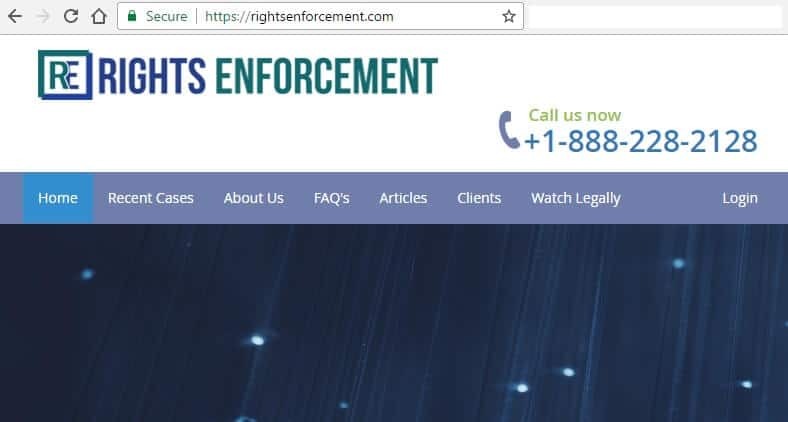 Given that practice, it would be reasonable to conclude that any visit to CEG’s settlement website is also logged, so that the IP numbers of the visitor can be added to the list of known IP numbers for the alleged violation, and eventually reveal the user. Basically, “phishing” since this means of gathering evidence is not disclosed nor is there any caution about this risk in the “settlement offer”. So while calling CEG up from an anonymized phone or using a throwaway email has its risks, visiting their “settlement offer” website puts a fresh IP in their hands. One they almost certainly run through their logs to see what else it may have downloaded, and if they have the rights to send yet another “warning” for it. And which they can try to associate with a name by any of a number of means.